connexions gallery outdoor space | Save the Kales! From A to Vegan interviews Save the Kales! From A to Vegan is a well-designed online resource with a little of everything: recipes, videos, news stories, animal rights, health issues, and any other category you can come up with. It’s run by a passionate group of folks from Bucks County, PA who I had the pleasure to meet for the first time at Bethlehem Vegfest, 2011. Since then, we’ve been able to see each other at various events and potlucks and I love the collaborative effort of this very informative group. 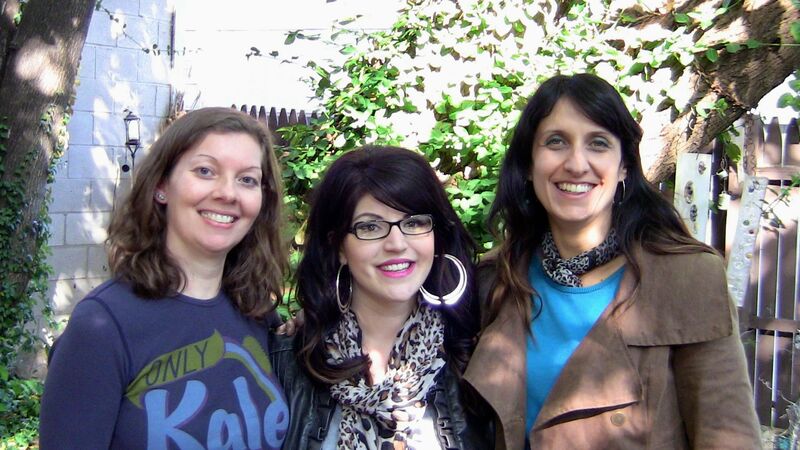 From A to Vegan blog interviews Save the Kales! I was thrilled to be video-interviewed for their website! Make sure you take a peek — they have quite a roster of interviews with many dedicated, thriving vegans all over the country, many of whom I’m certain you’re familiar with. It can be so nice to watch a casual video interview of someone you may only know from the pages of a book or still computer screen. Read the article and watch the video HERE. Best. Hair. Ever. Vegan-owned salon.